Jack Harries is an accomplished artist in many media. He attributes his work ethic and values to his upbringing. Born to first generation Welsh parents Jack takes great pride in his heritage. Jack started with art as a young boy and has always created a variety of art through drawing, painting, wood burning and carving. 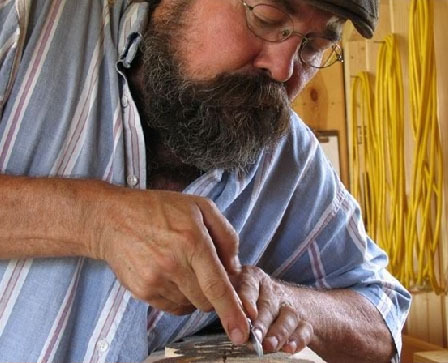 Jack creates at his workshop in the majestic mountains of central Pennsylvania. He draws his inspiration from the region’s people, nature, and beauty. Jack is “old school” and believes that your word should be as good as your handshake.